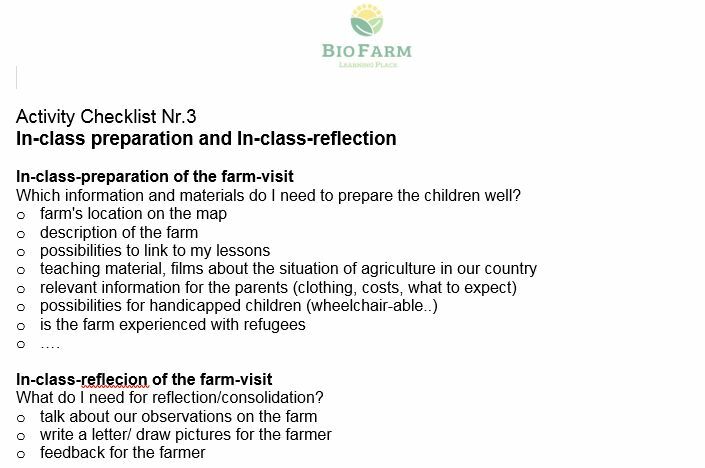 Milking cows, making butter or cheese, baking bread, picking fruits, weaving or felting sheep-wool, feeding, watering and stroking animals, mucking the stable, cultivating and harvesting grains potatoes and vegetable, making hey, classifying plants, feeling the soil, stripping the bark from trees… there are so many possibilities for hands on activities for children on a bio-farm. All these learning experiences can – if well planned an organized - be an optimal complement to cognitive learning at school. 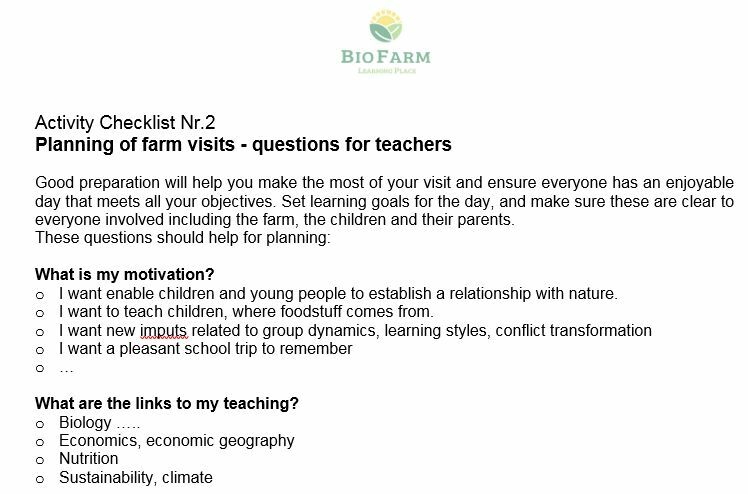 Besides that, the collective and emotional experiences on farms stimulate pupils and enable social connection among the class. As a teacher, you should think about your expectations. 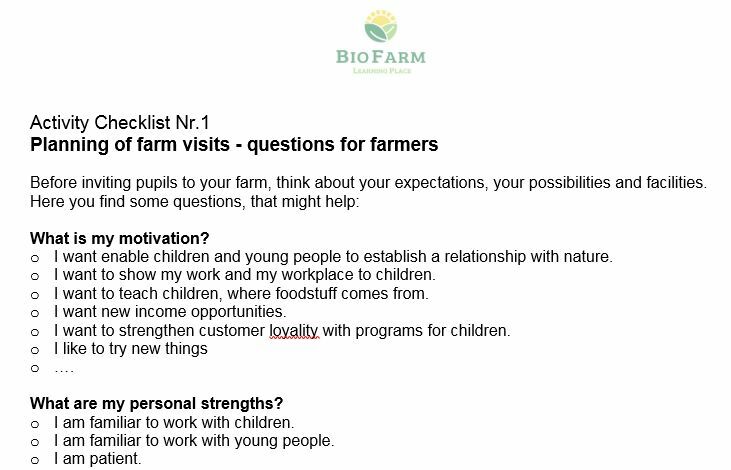 In the following checklist, you´ll find some questions, that might help.